A messy kitchen can make people eat more. Cornell University found that people ate TWICE as many cookies in a messy kitchen, compared to a tidy one. That’s because visual clutter raises our stress levels. And when we’re stressed, we’re more likely to turn to unhealthy snacks for comfort – like cookies. 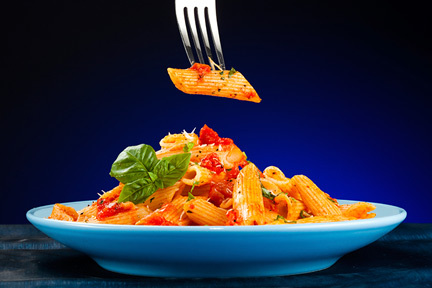 So, the first step to taking control of your diet may be to clean up the kitchen. 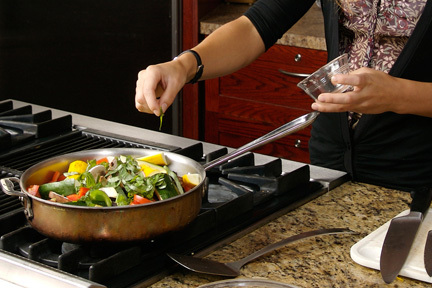 What kind of pots and pans are you cooking with? 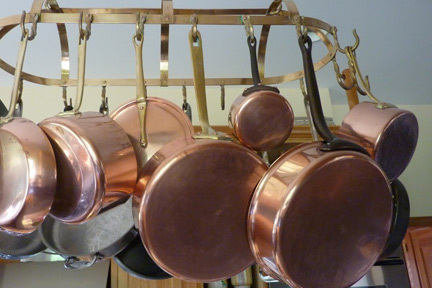 You know those copper pots hanging above the island in your kitchen? Stop using them for decoration and start cooking with them – to reduce food poisoning. New research from the University of Arizona found that when copper is heated, the oxidation process kills food poisoning bacteria – like E. coli and salmonella. For a healthier heart, stay out of the kitchen after 8pm. Doctors say our body needs a break each day to repair cells, and ideally, that “break” should start a few hours before we go to sleep. But if we interrupt the repairing-process with a late-night snack, the rise in blood sugar can trigger inflammation and cell aging, which raises our risk for heart disease. The bottom line is, for a healthier heart, consider the kitchen “closed” after 8pm. Is your cutting board sanitary? 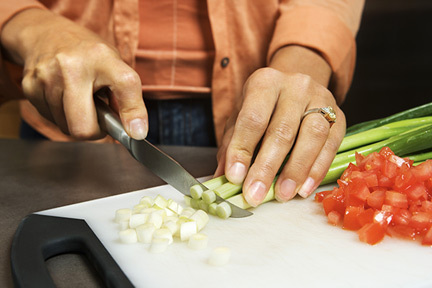 Bacteria can grow like crazy in the cuts and gouges on your cutting board. The solution is to cut a lemon in half and rub it across the surface. Why? Because the citric acid in the juice is a real germ-killer.